Walking down the street in Maine may seem like a safe activity, but the truth is that thousands of Maine citizens are seriously hurt or killed in pedestrian motor vehicle accidents each year. In fact, the Maine Department of Transportation found that 56 Mainers were killed and 1,292 injured in pedestrian motor vehicle accidents from 2006-2010. According to the report, Cumberland County had the most pedestrian accidents (402), with Penobscot County (165), York County (200), Androscoggin County (152), and Kennebec County (102) following. Maine car accident attorneys at Hardy, Wolf & Downing have over 35 years of experience investigating and prosecuting pedestrian accidents. Our legal team’s in-depth knowledge of the issues involved in understanding motor vehicle accidents and injuries helps accident victims and their families determine and prove what happened to them. Let us help you recover well-deserved compensation for physical and emotional pedestrian car accident injuries suffered, so you can move on with life. Pedestrians represent just over 11% of all traffic accidents in the country. On average, a pedestrian is injured in a traffic accident every 8 minutes and killed every two hours. In 2010, pedestrians accounted for nearly one in five children (between the ages of 5-9) killed in a traffic crash. Alcohol impairment – by the driver or the pedestrian – was reported in 47% of fatal pedestrian crashes. 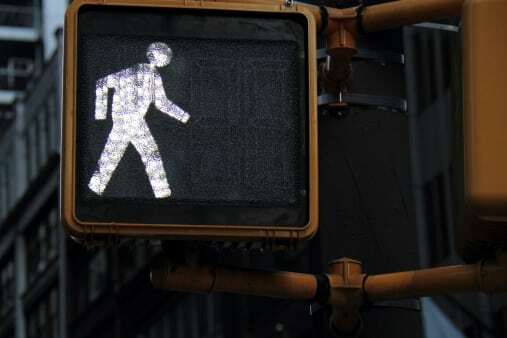 Most pedestrian deaths occur at night in urban areas, typically not at an intersection or designated crosswalk. Why do pedestrian-motor vehicle crashes occur? In a 2002 study of pedestrian deaths in Baltimore and Washington D.C., researchers at the Insurance Institute for Highway Safety (IIHS) determined that pedestrians were at fault 50 percent of the time, drivers were at fault 39 percent of the time, and 11 percent of the time no known fault could be ascertained. Most often, pedestrians darted into the road in the path of a vehicle – out of the designated crosswalk and while wearing dark clothing. At-fault drivers were often either turning or backing up when the pedestrians were struck. Though the IIHS assessment offers a very useful resource, the study is a somewhat simplified version of how and why pedestrian-motor vehicle crashes occur. The Maine car accident lawyers of Hardy, Wolf & Downing specialize in determining who was at fault in these cases. We rely on a vast network of investigators and experts to help us with our investigation. We will also track down any eyewitnesses, police reports, and medical records associated with your case to paint a clear picture of what happened. Even if you were partially responsible for what happened, you may still be entitled to some compensation, by Maine law. The IIHS reports that most pedestrians are struck by the front of a car. The fate of the victim depends upon the speed of the vehicle, the relative heights of the pedestrian and the front end of the vehicle, and the angle of the hit. The vehicle is larger, as the pedestrian usually gets thrown to the ground in front of the vehicle upon impact. The pedestrian is smaller, with young children being struck in the thigh and torso. The speed is higher, as victims slide over the hood and windshield, with injuries to the head, legs, and arms. Injured victims may be eligible to win compensation to cover past, present, and future medical bills; disability-related devices or home modifications; lost productivity and loss of future earning capacity; emotional pain and suffering; loss of consortium; and, in cases of death, loss of companionship and funerary expenses. If you or a family member has been involved in a pedestrian-auto accident, call 1-800-INJURED to speak with one of the pedestrian accident attorneys serving Portland, Bangor, and Lewiston, ME. There are laws against negligent driving and Hardy, Wolf & Downing will help enforce them for you. Legal fees are contingent upon a successful prosecution, so it costs you nothing to have your case heard by an experienced Maine accident lawyer.